Welcome to the official home on the web of the Ozark Highlanders Pipe Band, Northwest Arkansas’ premier pipe band. We are a non-profit organization dedicated to preserving and performing the traditional pipe band music of the Scottish Highlands. The band is a well-known staple of the northwest Arkansas community, appearing regularly at parades, concerts and many special events in the area. The band has an extensive repertoire of traditional Scottish tunes. We also have experienced professional solo pipers available for parties weddings, funerals and other special events. To hire the band or a piper for your next event, please click "Contact Us" for for more information. 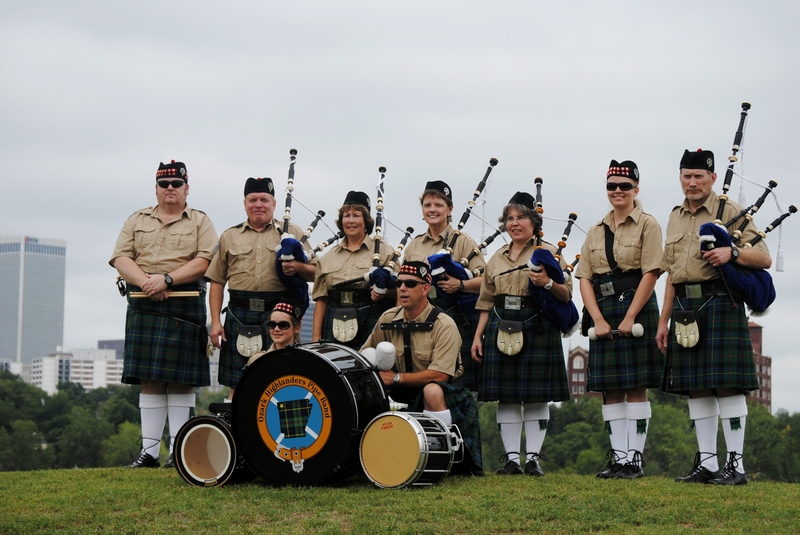 The Ozark Highlanders is a member of the Eastern Unites States Pipe Band Association (EUSPBA) and regularly competes at highland games and bagpiping/Scottish drumming competitions throughout the mid-west. The band has received numerous piping awards over the years, both as a group and also as individual players. New and old players are always welcome. Please contact the band and we'll fit you right in! !